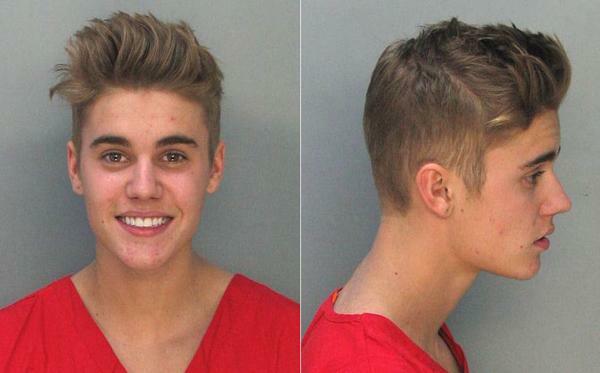 Pop singer Justin Beiber was arrested by the Miami Beach Police Department in January 2014 and charged with drunk driving, resisting arrest, and driving without a license. According to cops, the 19-year-old performer was drag racing while behind the wheel of a yellow Lamborghini when he was pulled over. Investigators noted that he reeked of booze, had bloodshot eyes, appeared in a stupor, and was uncooperative with officers. The Canadian native then failed a series of field sobriety tests before being booked into the Miami-Dade lockup, where he posed for the above mug shots.